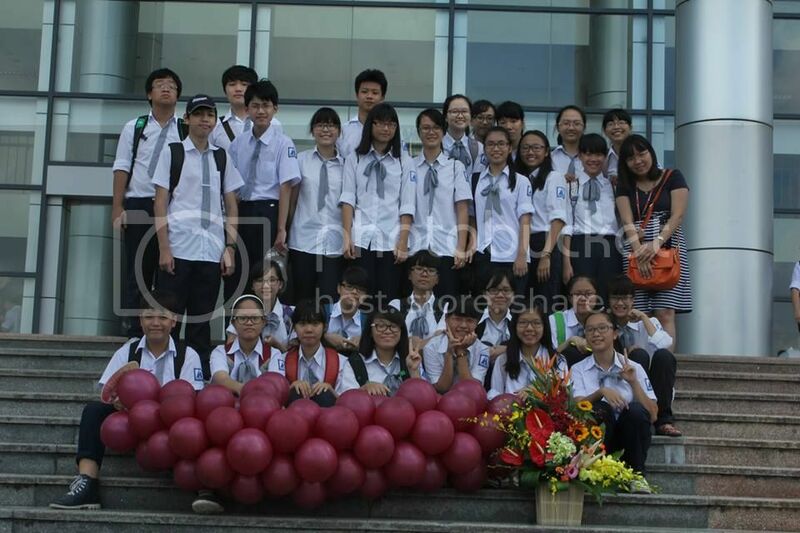 Goodbye to all the mischievous days of secondary school, we are now a member of 10 Chinese family of 40 members. And we cannot forget the lovely mother of 40 children, a mother who is not only always ready to share all joys and sadness with her children but also a gem lighting her children’s road to success. 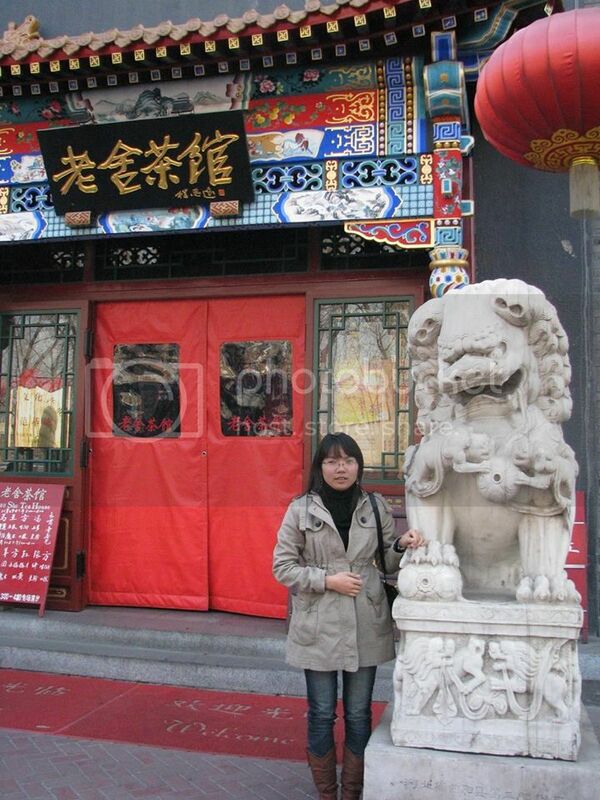 That is Ms. Nguyễn Thị Thanh Thúy, the great dear mother of 10 Chinese. She is our form teacher as well as our Chinese teacher. 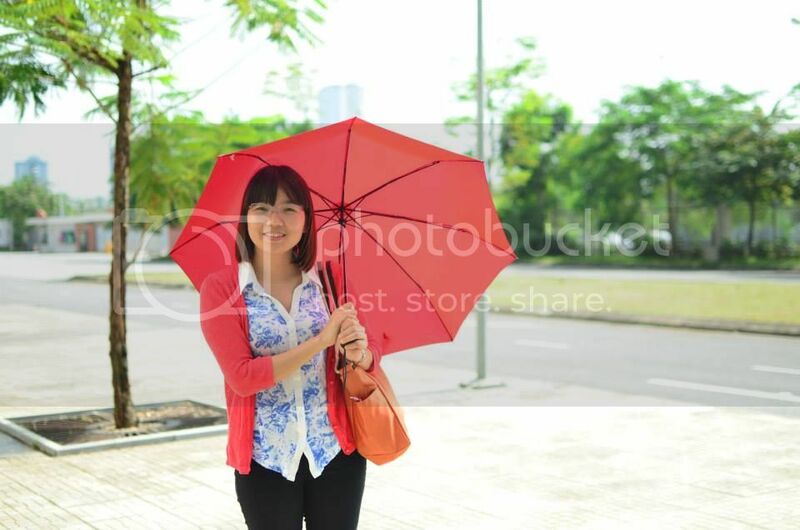 On our first day to school, Ms. Thúy struck us as a small teacher with soft voice and a gentle, welcoming smile for us. At first, us students were quite timid and unfamiliar, but she chatted with us and asked everyone so that we get to know one another better. Moreover, though she has just taken charge of our class, Ms. Thúy has already understood each’s strengths and given us suitable class duty. This astonished me because normally teachers would only assign monitor positions as schoolyear has started for a while. Through this, she appears to us as a person of celerity and great care for her students. 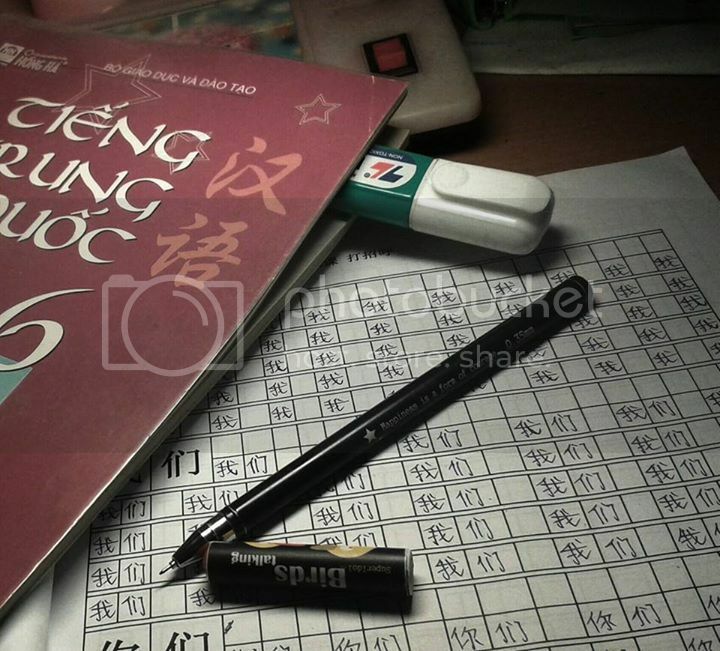 Our class majors in Chinese – a language widely-known yet unfamiliar to ourselves since this is a brand new language, while there are only a few in the class who have taken extra classes of Chinese in the summer. Hence, we all are afraid of this subject, worried about how to earn good grades. However, Ms. Thúy have partly warded off our fear of Chinese. Her lessons were especially legible and interesting. Knowing this is a totally new subject, she teaches us slowly and frequently would as us if we understand the lessons. She also has our class listen to Chinese music and watch Chinese movies, making her sessions not too serious but joyful – every concentrated fully to her teaching. With this method of teaching, she helped change students’s impression of Chinese as well as helped us love and work harder on this subject. Now, we even often communicate with one another with the growing vocabulary we acquire from each session. 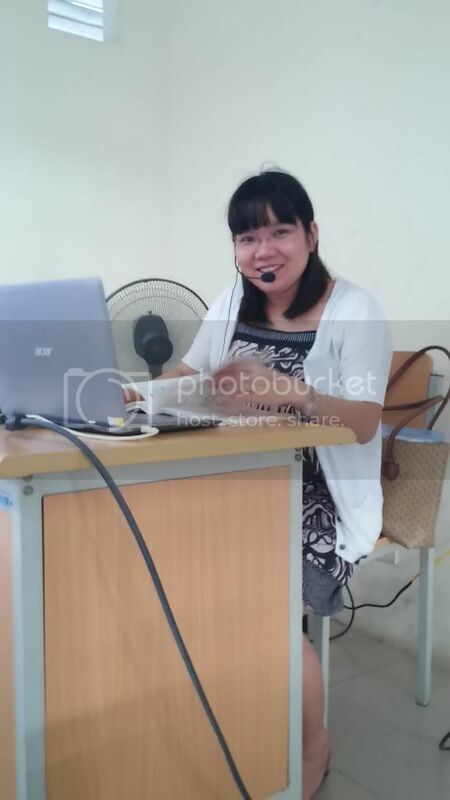 Ms. Thúy is not only a skilled and dedicated teacher, she is also a mental specialist, a mother who is always caring and worrying about her children. Our ancestors once said: “If you love your kids, spank them/ Otherwise, tell them loving things.” To make sure that the whole class would obey the school’s regulations, she makes rules of us 10 Chinese family. The punishment that we all agree on is charging money according to the severity of each misdeeds. The money charged is to be contributed to the class’s funds for celebrations later on. Moreover, as one makes a mistake, Ms. Thúy would frankly criticise that individual for affecting the whole class and admonish us to remind one another so that everyone can improve himself. Seeing Ms. Thúy’s love for her profession, we all thought that she had long wanted to study Chinese and enjoy learning this language. So it was a big surprise when we found out that when she was still a student, Ms. Thúy really liked Math and dreamed of becoming a Math teacher good as her old Math teacher. But in grade 12, she had to take extra classes in Chinese for that year’s entrance exam to college. Slowly, her love and passion for this new foreign language grew deeper and deeper.She shared that she herself was highly impressed with and interested in the culture and traditions of China. Therefore, Ms. Thúy decided to study abroad in the country of China to find more about the people and life here, as well as to enhance her own communication skills. This must have been such a meaningful and memorable experience to her. 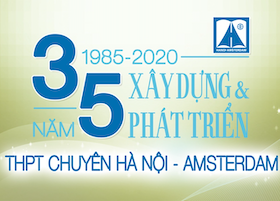 Thanks to her rapid accumulation of teaching experience and her fluent command of Chinese, in 2005, she became the youngest teacher of Chinese in Hanoi-Amsterdam High school for the Gifted. Although our class has only spent 3 months together, we all seem to have attach to and love one another as a family, care for another like brothers and sisters. Maybe that is thanks to her own efforts. It is her care, her, sharing and stories that bind every member together. In the occasion of November the 20th – Vietnamese Teachers’ day, we would like to thank you for urging and watching out for us. Despite your pregnancy, you still remind us and pay attention to our activities, our studying progress. We are sincerely sorry for times when we made you sad for unworthy mistakes. Teacher, we promise not to let you down again. Our class 10 Chinese will love and help one another to study well. We wish you a happy November 20th and your family health and happiness. Our class will always be a united and intimate class!